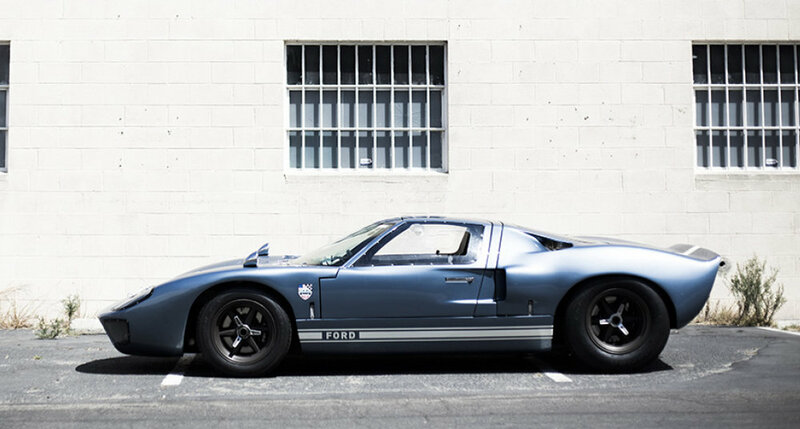 1965 RCR MKl GT40 — RACING DIVISION, INC.
With just over 130 built from 1964-69, the GT40 is not only one of the world's most iconic cars, but also one of the most elusive. 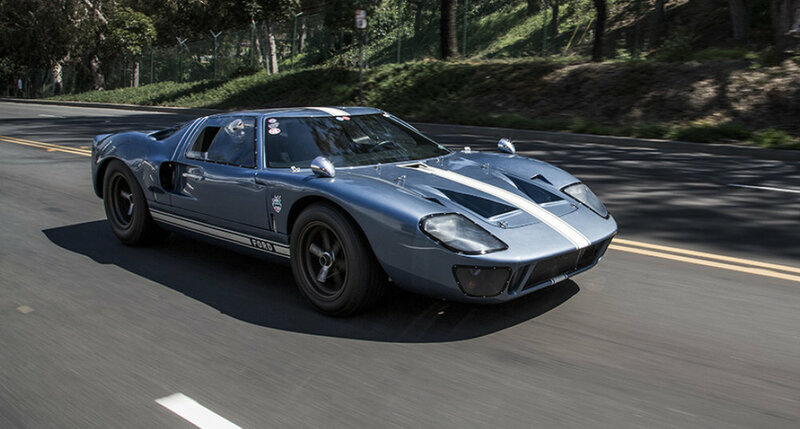 Due to this, many drivers who desire a GT turn to a small number of replica manufacturers. Although nearly as rare, high quality replica GTs offer an equally thrilling experience, for less expense than acquiring an original. Racing Division acquired this fully-built RCR GT40 in 2011 and almost immediately set out to transform the car into a "period correct" street legal race car. The RDLA crew repainted and striped the car, redesigned the interior including custom smith-style gauges and most importantly the full-race Hipo 289 straight out of 5S003.